This is an original Joe Johnston storyboard sketch from Star Wars: A New Hope showing three TIE Fighters chasing Luke, Biggs, and Wedge over the Death Star. The notes on the separate sheet are Lucas' changes based on that scene. 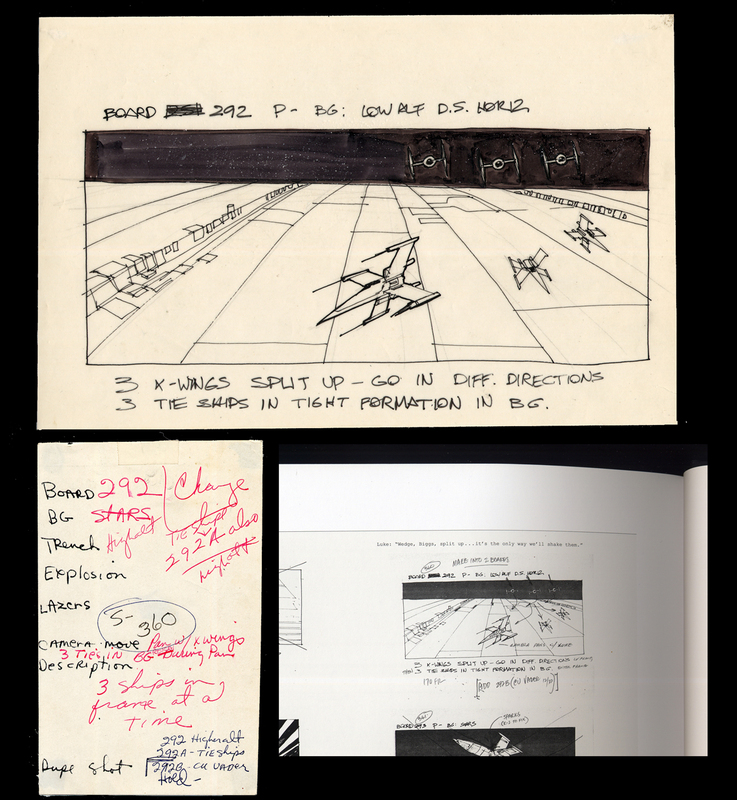 The smaller photo is from the Making of Star Wars book that shows the finished storyboard.